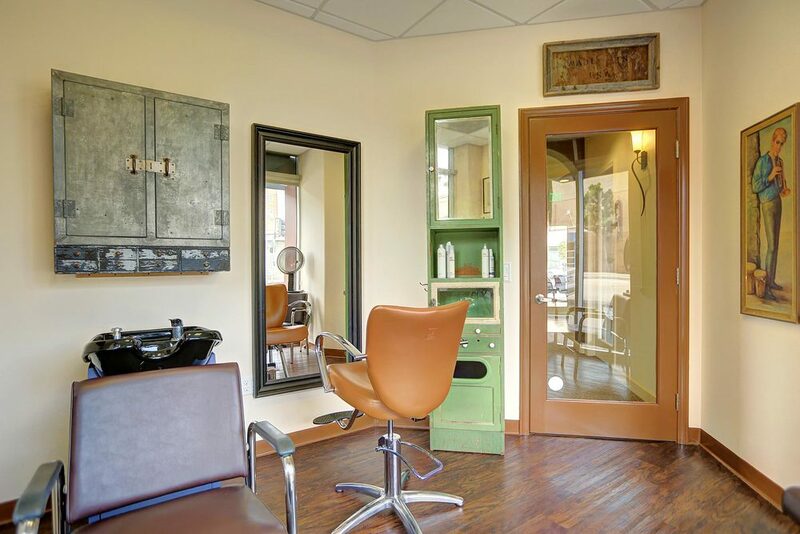 This great little hair studio in Santa Monica needed a big infusion of personality and style. 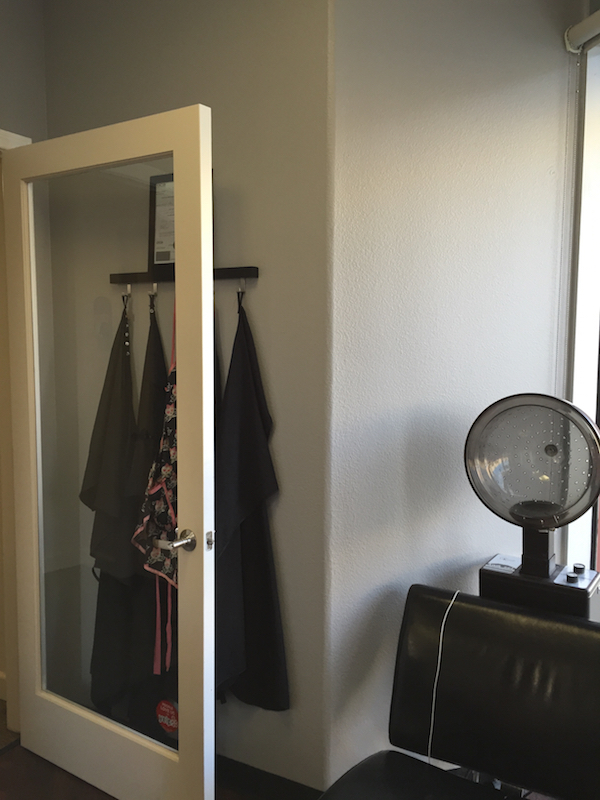 We began with a drab space and created a bright and sunny studio that reflected the owner's vintage SoCal aesthetic. 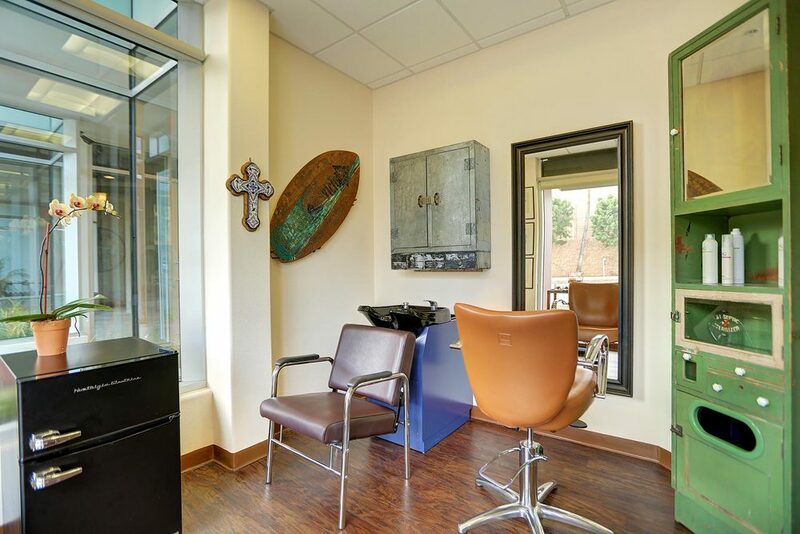 Making the most of this petite salon meant careful attention to form and function. Bold, rich colors, lots of art, and vintage finds had to be perfectly balanced to make this studio sing. 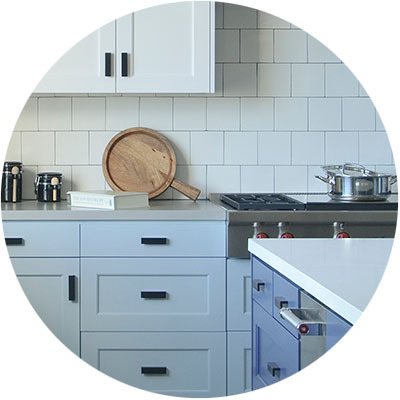 Vintage cabinets in an eclectic mix of styles provide needed storage and tons of character. 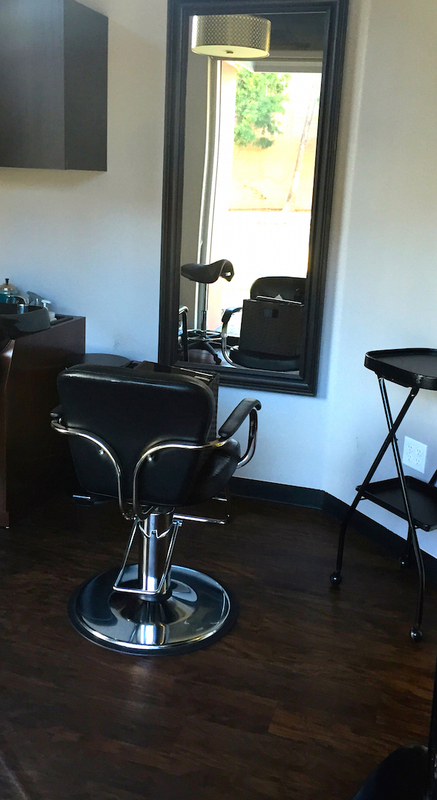 We took advantage of every surface to inject personality. An industrial bar cart with a decanter of scotch makes clients feel like guests.